Use this 1 Year Money Saving Challenge to set aside money each week! 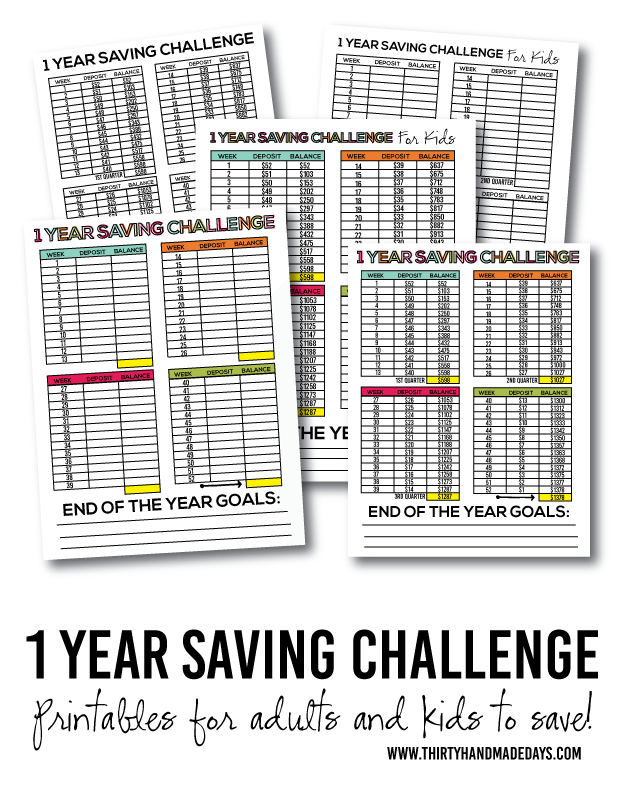 Recently on my Facebook page I shared this awesome sheet from Saving A Buck based on the 52 week saving challenge. I love the idea but knew I wanted to alter it a little bit to suit my family’s needs. I asked on Facebook if anyone was interested in a printable. “YES! !” was the resounding answer. So today I’m here to share my version of the 1 Year Saving Challenge. I’m sure you’ve heard of this idea. It’s really simple. You just save a little money each week and by the end of the year, you have a nice little nest egg for savings. Some people use the money for Christmas, others for a vacation, some just for savings. I think it’s an easy way to get into a saving habit. With the way banks are set up now and everything online, it’s so simple to transfer money to a savings. As always, these are for personal use only. Thank you! There are about a hundred different ways this could be approached. 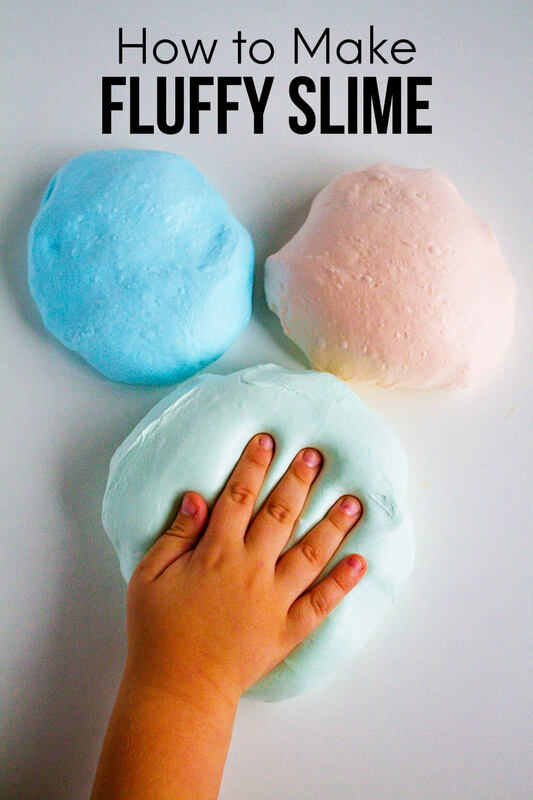 But the bottom line is that in a crazy time where everyone around is about instant gratification, I really feel like it’s important to learn how to save and to teach our kids how to as well. I haven’t been shy in writing about how it’s been a struggle for Josh and me. These sheets go perfectly with the Ultimate Budget Binder. Print out and add them to your binder! Along with the adult version of these savings sheets, it was important to add a kids version as well! There are a few different ways that you could use them. 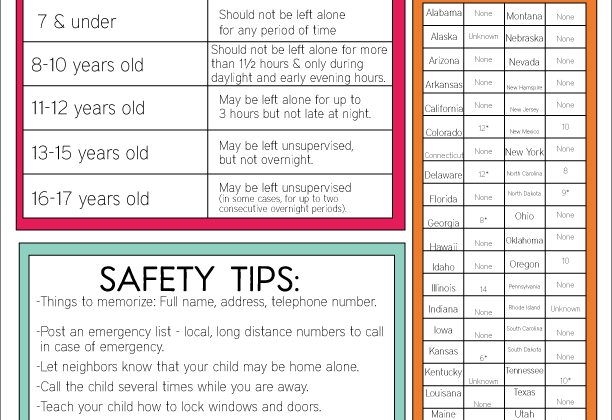 I made a blank version (both color and black and white) as well as what I think is practical for my kids. My kids are almost 15, almost 13 and 8 years old. I know that what I share isn’t going to be useful for everyone. Take what you can use and go for it with your family. These sheets go perfectly with the accountability binder. The whole purpose of that is to teach kids how to be more accountable and responsible. 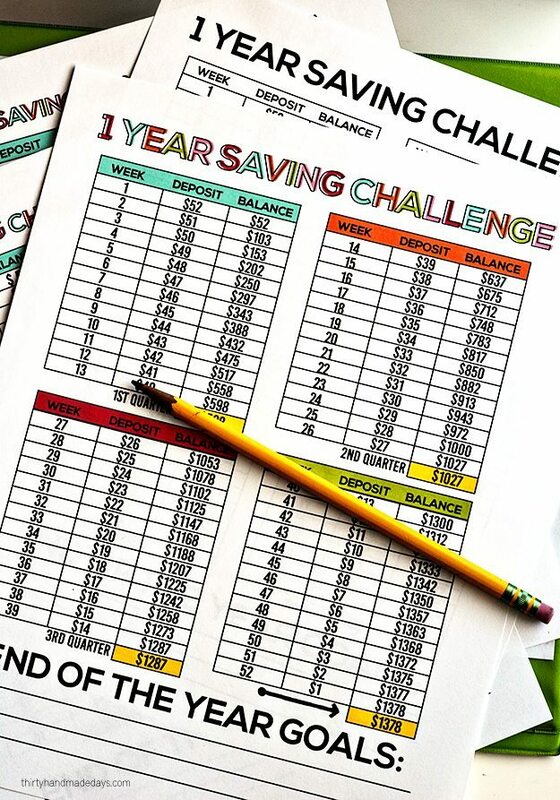 Print a sheet out and add it to that binder to encourage kids to learn to save. Sit down with your kids to discuss money. This should be tailored to the stage that kids are in. Obviously a 4 year old shouldn’t learn how to balance a checkbook. But that’s something that a 16-17 year old should learn to get ready to leave the house. Make it tangible for them. “If I save ______, that is enough money to buy _______. ” Or if I save ______, that will pay for ______ years of college. Determine what happens with the saved money at the end of the year. Having this discussion at the beginning is super important. That way there are no surprises for them after all the hard work is done. Help them determine ways that they can earn the money to save. For younger kids their main way to earn money will be from you. 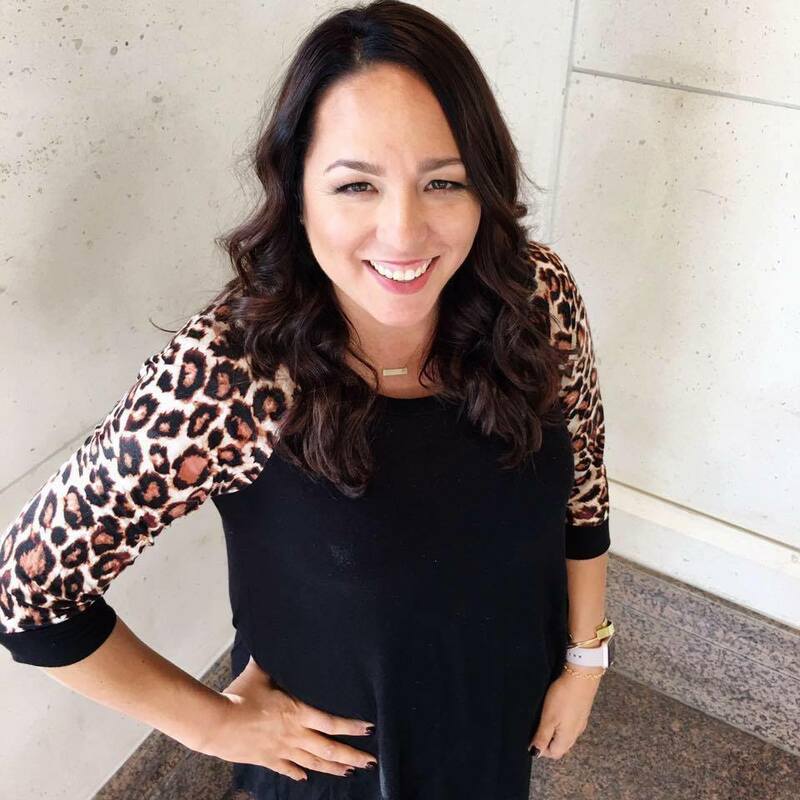 It doesn’t have to be with chores (I know there are varying opinions on this) but it could be for things going above and beyond normal expectations. The highest amount I have set for the filled in chart is $10. That can be a lot for kids! (and adults) Give them extra opportunities to earn money or help them come up with ways to earn. Teach them the importance of setting goals. The awesome thing about doing a savings program is that it will show them how to set and achieve goals. Along the way are very important lessons to learn – some of them won’t be easy. Sometimes we set really lofty goals and don’t achieve them. Sometimes we have things that get in the way. But better to learn at a young age how to set goals than when out of the house when real life is in full force. Set up a place to save money – open a banking account, savings account, etc that money can be saved in. This seems obvious but having a spot to put the money before the challenge starts is important. You can figure out when and how you want to make deposits too. There are so many options these days with online banking. But will it take away from it for your kids if you just transfer money from one account to the other? Talk it out with them to make sure they are okay with the plan. Have any other tips to share? What have you done that has worked for your family? THANK YOU!!!! This is exactly what I was looking for. I love your challenge chart. I took the blank one and merged the 2 options. odd numbers count up from 1-26, even numbers count down from 52-27. It averages a total of $53 every 2 weeks that you have to put in. I can’t get the 1 year saving plan to open–when I click it -it just goes back to the same screen. How are your kids earning money? Ours aren’t old enough for a job and there aren’t many jobs around here for 12 to 15 yo’s. Everyone walks their own dog, mows own lawn, racks own lawn, etc. Allowance wouldn’t allow for some of the larger savings on your lists. We started the “adult” version 2 weeks ago, but I absolutely love the kids version!!!! Will be printing that one out asap, thank you! I love the way you started off with the largest dollar amount first!! So smart!! Thanks so much for this! I can’t wait to use and begin saving!